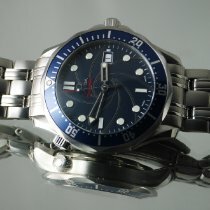 Omega Seamaster 2226.80.00 is one of the most recognised models. 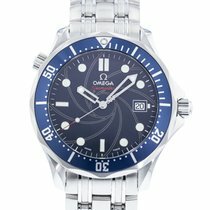 The heart of the watch is automatic winding Omega cal 2500 that has approx. 48h of power reserve. Blue dial is covered with domed anti-reflective, scratch-resistant sapphire crystal. Case and bracelet are made of stainless steel that is very resistant to corrosion. What's more it is very easy to keep it clean so proper care results in classy shining. Water resistance is 30 ATM so basically all the water activities may be practiced with watch. Papers and original box in the set. Pictures present the current state of the watch.